Spacious bar and multiple dining rooms, ideal for business dinners, private parties and date nights. An experience you will long remember. Adding a Highly Engaging Tour of your Place to Google Street Views, Google Maps and Google Business Page Will Get You Noticed! 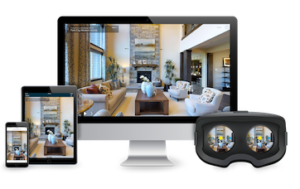 Immersive 3D Tours attract and engage online audience by creating virtual tours for businesses and venues. Your tour is available on any connected device. Immersive tours are interactive increasing time spent on your company website or social media post. Our tours are highly-sharable including Facebook, Twitter, LinkedIn, and Pinterest. Sharing also includes email and text message. We published on Google Street View, Google Maps and Google Business Page.